Under the shadow of a Hawker Hurricane at North Weald Airfield in Essex, AFSOY Winner, Nathan Hume of S H Goss Ltd, explained the site poses particular challenges for herbicide treatments. The Civil Aviation Authority demands a zero-tolerance of weeds on the 30 hectares of runway, taxi areas and surrounds of the Council-owned operational airfield for small and light commercial flights. 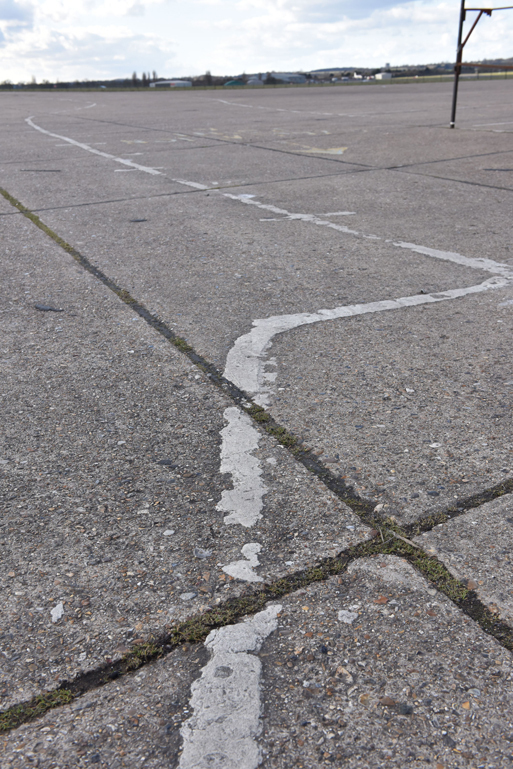 However, from its 1916 Royal Flying Corps origins, and further development for its key role in the Battle of Britain as home of the Hurricanes for the British, American and Norwegian squadrons, the miles of expansion joints in vast area of concrete is under constant invasion from grass and broad-leaved weeds. Any control treatments have to fit in with the airfield’s busy flying schedule, and demand meticulous attention to detail to ensure there is no possible risk to aircraft operations during or after the work. Furthermore, the large area of relatively undisturbed grassland across the site is also a really important ecological asset that, through careful management and selective mowing regime, has become home to a wide range of birds, small mammals and insects – which Nathan is passionate about protecting and promoting. And, to further impinge on spraying operations, by the nature of the airfield’s open site, it’s almost always subject to windy conditions. “If that all sounds like too much hassle to be worthwhile, it’s probably my favourite site to work on,” enthused Nathan. The weed control is based on targeted glyphosate applications, programmed for three treatments per season, but with options to be called in for further work if the season demands. “We need to be flexible to start working once any weeds are actively growing in the spring, and then monitoring to respond for any new growth as the year progresses. “If we think weather conditions are likely to have initiated new weed growth we’ll come in for an inspection, and liaise closely with the sites managers, with whom we have a really good working relationship,” he added. Most of the treatments made are using the Landrover mounted sprayer, which typically takes two or three early mornings to complete the main runway spraying, with further work on the fence lines and industrial building surrounds – including huge historic hangers, where there’s still the visible signs of Luftwaffe bullet holes from wartime attacks. Having a camera mounted on the Landrover bumper and a screen in the cab means that Nathan can see exactly what is being treated, and where sprays can be selectively targeted. The sprayer is fitted with drift reduction nozzles that can help ensure spray stays on target, but he’s conscious of getting the right balance between water volume and droplet size with the bigger bubble-jet type nozzles, and the need to avoid over wetting weed leaves that could lead to run off and reduced efficacy. His experience has been that high quality herbicide formulations may initially appear more expensive, compared to some generic glyphosate counterparts, but could give an important extra edge in performance, particularly in more challenging weed control situations. “Grass weeds with waxy leaf surfaces can be difficult, especially when some are small or just emerging,” he pointed out. Meeting the challenges created by the airfield exemplifies why Nathan Hume was successful in the AFSOY Awards, and some of the lessons that can be applied to get the best possible results safely and effectively for the operator, the public and the environment with every application.